This week in Ardgillan, TY students organised a Positive Mental Health and Well-Being Week. 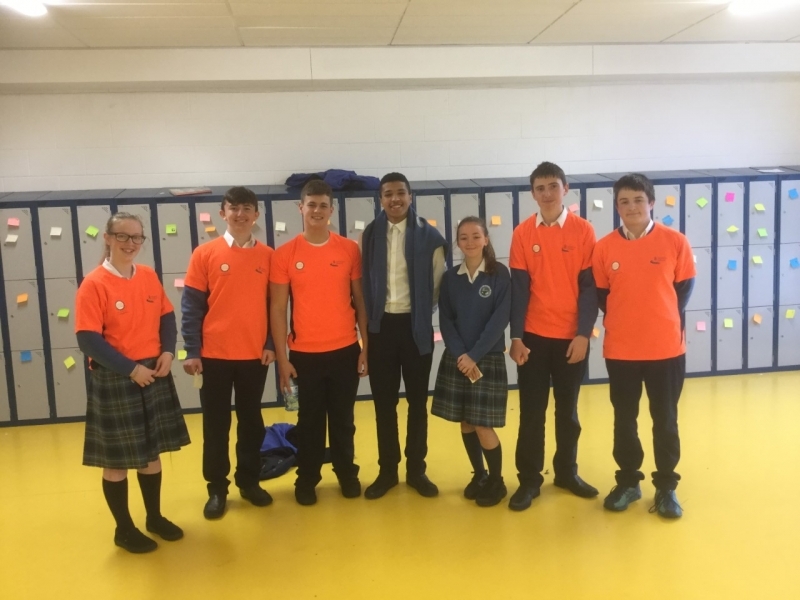 A committee of 12 TYs organised the events, with Ms. Jenkinson and Ms. Murray. Every year in Ardgillan a Positive Mental health and Well-Being Week is held in December. This years week had events such as a student vs teacher sing off, mindfulness meditation and mindfulness colouring, and a jersey day. Posters of Positive Quotes were made and given to every teacher in the school, for their classroom, while positive messages were also stuck on every students locker at the end of the day on Friday. A gratitude box was put in the canteen for those who wanted to reflect on something that they are grateful for. The word of the day was selected by the committee and included words such as optimism, attitude and mindfulness. Each morning, a positive quote of the day was also read out on the intercom. Charities were also selected, for students to be aware of if they ever needed help..including Jigsaw and PIETA house. 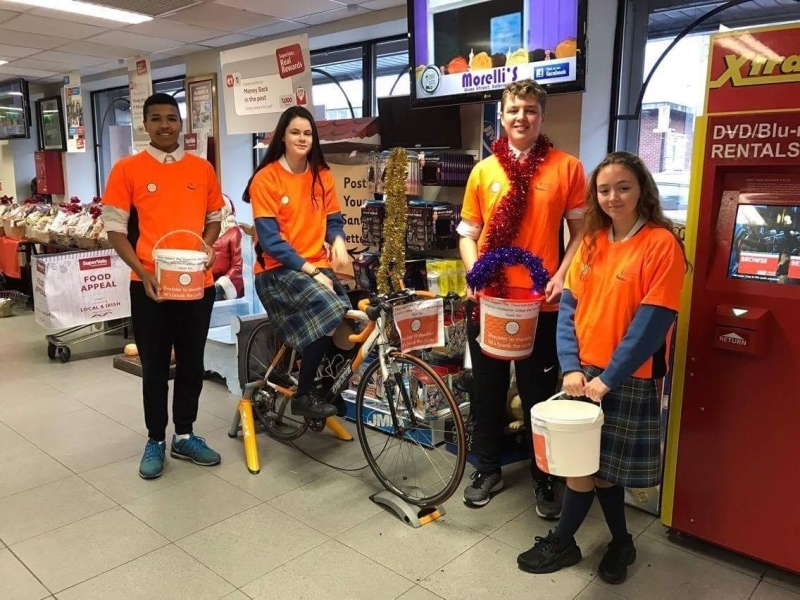 Students cycled and bag packed for the day in Supervalu on Tuesday. Thank you to all of those in Balbriggan who donated money, and to Supervalu for again being kind enough to let us fundraise in the supermarket. 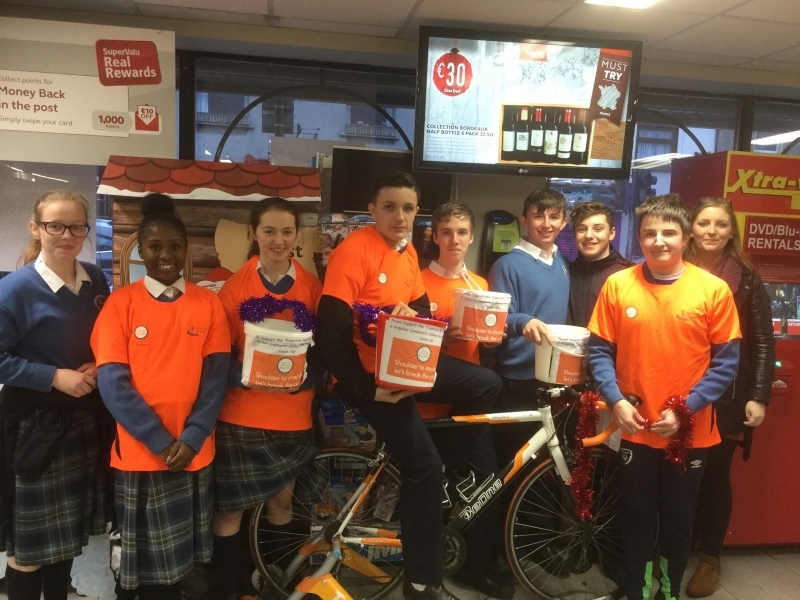 In total, €800 was raised by the TY students this week for Cycle Against Suicide! Well Done! All TY students are looking forward to the Cycle Against Suicide Congress in January!